This is the 4th year we are proud to provide you with a list of the Top 10 eLearning Content Development Companies for 2016. What do all these companies have in common? A genuine passion for learner-centric interactive solutions customized to the particular needs of their clients. The eLearning Industry changes dynamically every year (I mean, look what happens in our list of Top eLearning Content Development Companies For 2018!). More and more eLearning Content Development companies strive to find their niche, increase their market share, or establish their position in today’s highly competitive eLearning market. Who are the winners? The ones that employ pioneer eLearning strategies in specialized areas such as, gamification, mobile learning, blended learning, localization, among others. Those companies that are eager to provide their customers with innovative and memorable eLearning content with long-lasting effects for their learners, emphasizing on behavioral changes, and justifying, at the same time, a significant increase in their customers’ ROI. This is the 4th year we are proud to provide you with a list of the Top 10 eLearning Content Development Companies for 2016 that meet the above criteria. What do all these companies have in common? A genuine passion for learner-centric interactive solutions customized to the particular needs of their clients. eLearning Company’s Economical Growth Potential. As a result, we created a quite impressive list of Top 10 eLearning Content Development Companies for 2016. I highly encourage you to visit the official sites of the eLearning content development companies, check their solutions, services, and clients, and most importantly request an eLearning content development demo before you proceed with a business collaboration. Discover the Top Learning Management Systems and choose the right one for your needs! Like you, SweetRush’s clients need their people to change and be better at their jobs. How to accomplish this is complex, and that’s where SweetRush comes in. The company has a 15-year track record of success analyzing business challenges and delivering effective custom learning solutions, including eLearning, gamification, mobile, and instructor-led training (ILT). SweetRush’s culture manifests in a near-zero turnover of teammates, loyal clients, and an award-winning portfolio. They are trusted by the world’s most successful companies. For the past 14 years, EI Design has been crafting learner-centric solutions helping its customers keep the learning experiences engaging, relevant, and impactful. Its constant focus on innovation has helped it remain in tune with emerging trends and changing learner expectations. Alongside solutions such as eLearning, ILT/VILT, Gamification, Microlearning, Social Learning, and so on, it is now helping its customers measure Learnability and use analytics to enhance/remediate/reinforce learning. Allen Interactions creates powerful custom learning experiences that help achieve organizational business goals by improving performance one interaction at a time. With more than 20 years of deep experience in Instructional Design, technology, creativity, process, and project management, Allen Interactions consistently achieves positive business impact. In addition to its services, Allen Interactions has a cloud-based visual authoring and publishing system, ZebraZapps, which allows developers and non-programmers to create rich interactive media applications, as well as share, publish, and sell objects or entire applications. Allen has led the learning and development industry for 35 years, providing pioneering educational strategies, technology, and analytics for many of the world’s largest companies. Businesses trust Allen with their most important projects because they align agency-quality media, best-in-class instructional strategy and technology, and a proven design process centered on quantifiable business results. Their custom training solutions help departments scale and achieve more, while improving ROI. Contact Allen to see how training can boost performance and change behavior. Established in 1999 in Co. Kerry, Ireland, today PulseLearning has offices located in the US, Canada, the UK, and Australia. 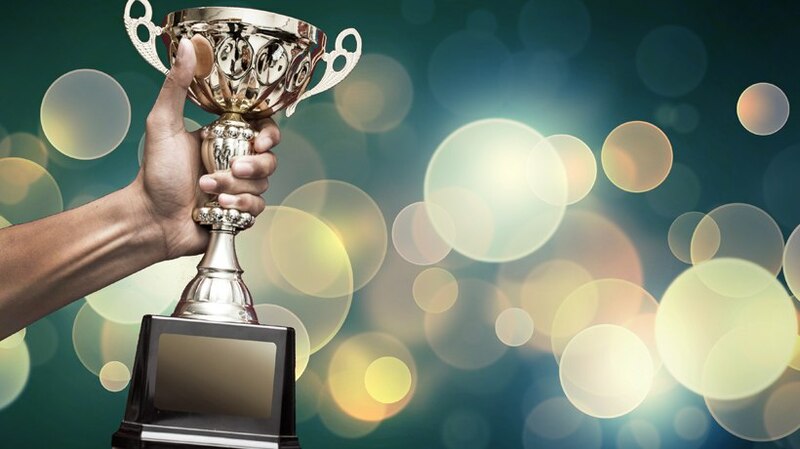 This award winning global learning solutions provider creates solutions that combat key Business Challenges including: Technical & Product Training, Sales Enablement Training, Induction & Onboarding Training, Compliance Training, and Leadership & Talent Management. PulseLearning provide a wide number of development services including custom eLearning, mobile learning, localization, blended learning, learning consultancy, and staff augmentation. PulseLearning’s success is built on mutual trust, long term relationships, and a deep understanding of their clients’ business. Contact PulseLearning today for all your Learning Solution Requirements! Using leading design, animation, and collaborative technologies, Obsidian Learning enables learning, facilitates knowledge transfer, and effects organizational change. Since 1998, Obsidian has been developing interactive learning programs that engage learners and accelerate skill development, including web-based and classroom training, mobile learning, and multimedia communication pieces. Their proven methods reduce time to competency by delivering the right learning, the right way, at the right time. Here you can find examples of their work, and in the Obsidian blog truly useful content. 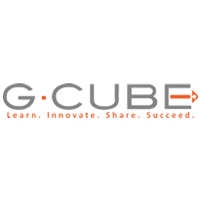 Established in 2000, G-Cube is an innovative organization, ranked ‘50 Fastest Growing’ by Deloitte and endorsed by Gartner. G-Cube’s Learning Consulting Division redefines learning as a tool for higher productivity & ROI for clients. It is researching on use of Wearable Devices, Virtual reality, adaptive learning, robots etc. for learning. Its Services includes learning & curriculum design, content development, mobile solutions, localization, game-based learning, WIZDOM LMS etc. Facts: 350+ satisfied customers; 1500 content projects; 150+ LMS; 70+ Awards. Contact G-Cube here. Designing Digitally, Inc. is an award-winning, full-service provider of interactive and engaging custom-built eLearning, mobile learning, and serious games. They focus on designing educational, engaging, and entertaining online learning and corporate training experiences tailored to fit specific needs. They provide a prosperous return on investment by producing high-quality interactive learning solutions and immersive training. Review their case studies, or contact them today for a free quote. Learnnovators is a multiple-award winning organization that specializes in the design and development of custom eLearning solutions for the workplace. They help clients address skill and performance gaps in their workforce by creating tailor-made solutions that are aligned with their business goals. Learnnovators’ services include custom eLearning, rapid eLearning, mobile learning, gamified learning, blended learning, and localization. They also offer a learning platform, Learnosphere. CommLab India is an eLearning company that provides global learning solutions to large multidivisional and multi-location organizations across various industry verticals. Since its inception 16 years ago, it has served more than 100 customers in 30 countries, helping them sell more, improve efficiencies, and be compliant. Designing custom eLearning courses has been the flagship service of the company and it is equally adept in translating and localizing custom courseware into more than 35 international languages (see its portfolio). If you want to know more about their corporate training solutions, contact them here. If you want to be a part of our list of eLearning content providers, register in eLearning Industry’s Top eLearning Companies page. 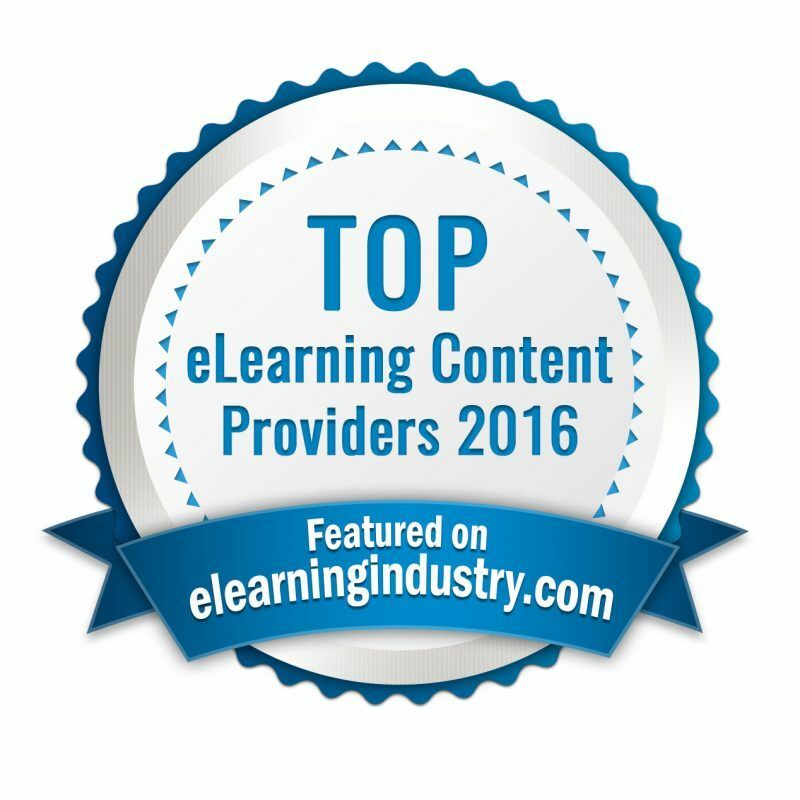 If you are one of the Top 10 eLearning Content Development Companies For 2016 you may use the following badge!